It might not be the heyday of sports cars anymore like in the 1970s or 1980s, but powerful pony cars are being produced today like we’ve never seen before. A sports car in 2019 means you’re getting all the history of the vehicle, coupled with modern performance characteristics. You have a wide selection to choose from, with the Dodge Challenger and the Chevrolet Camaro staking their claim at the top of the pack—but which one is worth your time? Great West Chrysler, your Dodge Edmonton dealer, takes a look at the 2019 versions of both of these muscle cars and see which one comes out on top. With a muscle car, you’re concerned about two things: how it looks and how it performs. While both cars have a number of engine options, their base level choices show what great power you can get on just these entry-level trims. 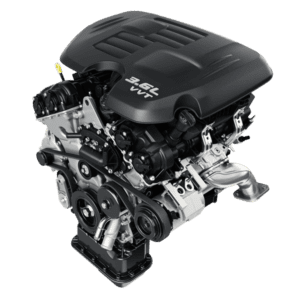 The Challenger comes with a 3.6L Pentastar™ VVT V6 engine with 305 horsepower, while the Camaro has a 2.0L Turbo with 275 horsepower. With regards to utility, the Camaro isn’t a fit for towing at all, but the Challenger is, with 1,000 lbs of capacity able to be pulled from the car. 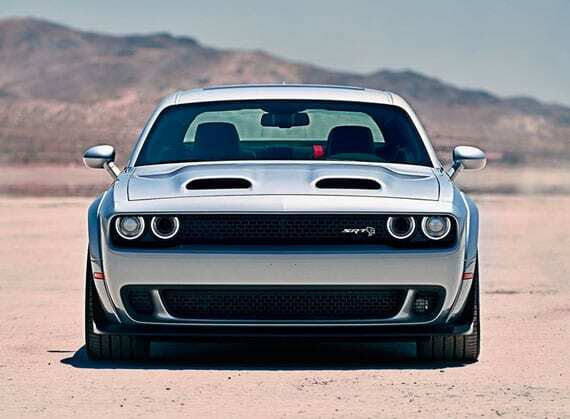 If you’re most concerned about power with your muscle car, the 2019 Dodge Challenger is the clear winner. While both classic muscle cars, each one has completely different design cues. The Challenger is designed to pay tribute to its yesteryear models through and through, with an iconic design that harkens back to classic models. Its long hood and short rear, with a split grille and 4 front headlamps are taken directly from the 1971 version. The Camaro, on the other hand, is a sports car designed for the modern age, without many classic heritage-inspired cues like the Challenger, outside of its tail lamps. Its new-age look provides a different look than classic muscle car aficionados may not be keen on. For those who want the traditional classic style out of your sports car, the Challenger is more than willing and able, while the Camaro takes more modern cues away from its original style. Come to Great West Chrysler and shop our inventory of Dodge vehicles. Don’t hesitate to contact us if you have any question, from anything from sales to service.